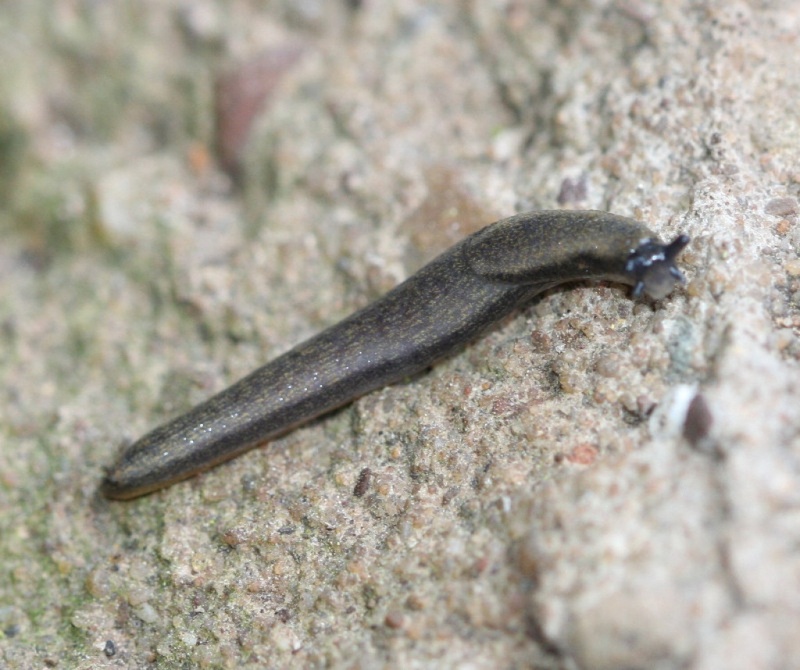 Length to 30 mm. 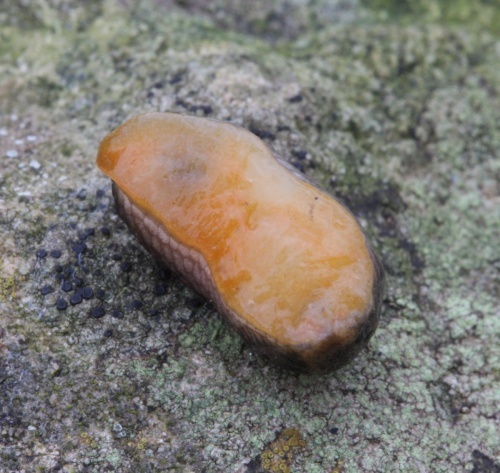 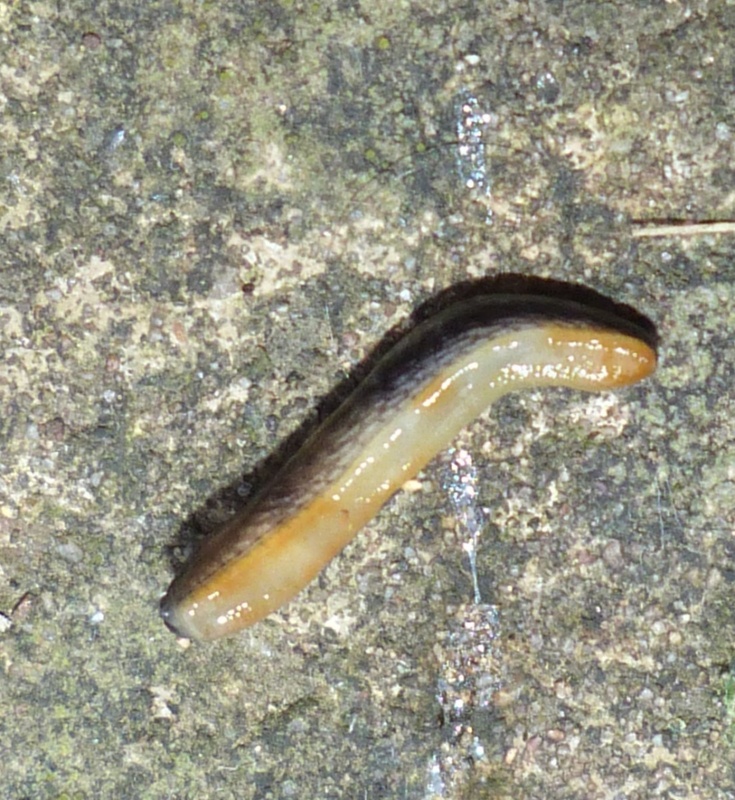 This slug belongs to a species-complex called the Arion hortensis group, which is comprised of Arion hortensis, A. owenii and A. distinctus. 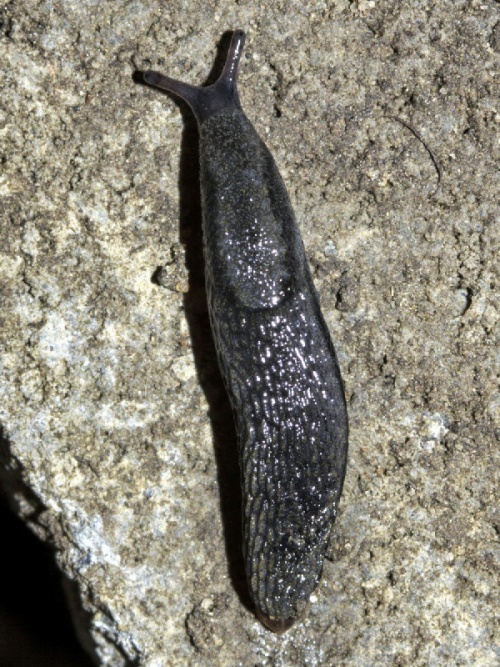 However A. owenii has not been found in VC55. 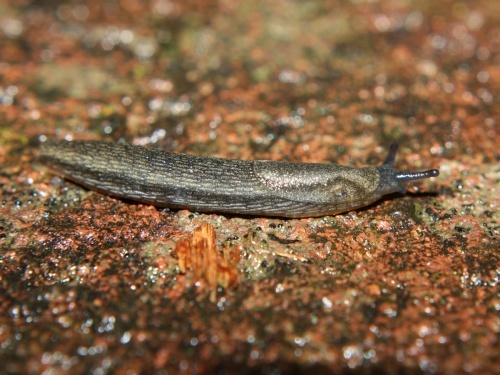 Both A. hortensis and A. distinctus are dark grey or bluish grey (A. owenii is tawny brown) with a dark lateral stripe. 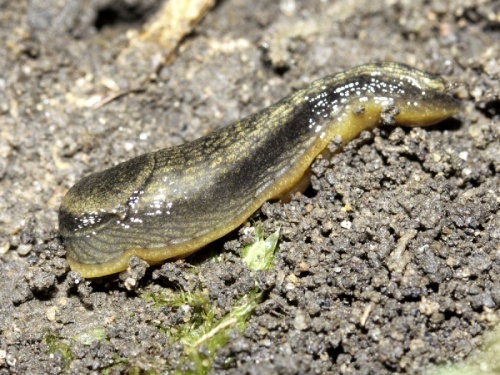 Arion distinctus usually has numerous tiny gold speckles on its tubercles - best seen through a lens. All the species in this group have a pale yellow or orange sole and characteristic yellow-orange mucus. 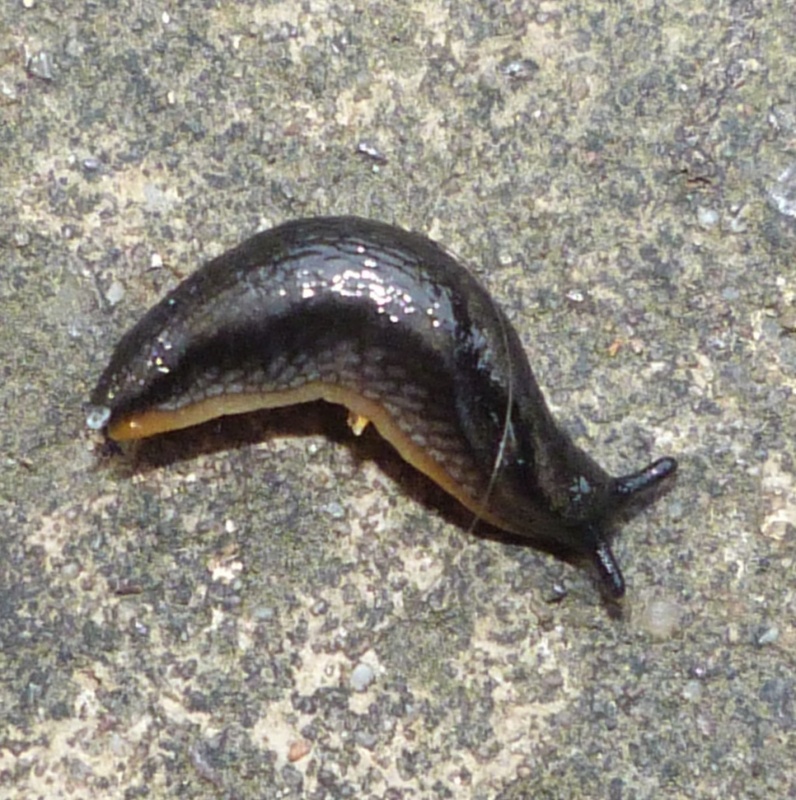 The animals have no keel. Contracted specimens are rounded in cross-section. Arion distinctus - uniformly dark grey but usually with many gold speckles on its tubercles. 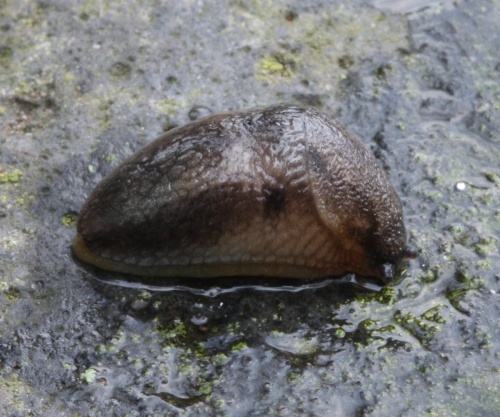 The mantle stripe partly surrounds the breathing pore. Arion hortensis - more contrasting black back and paler sides with fewer gold speckles on its tubercles. The mantle stripe arches over the breathing pore. 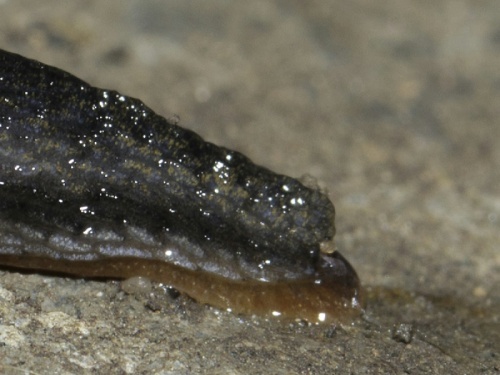 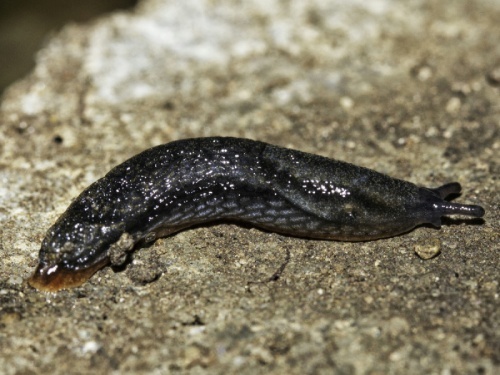 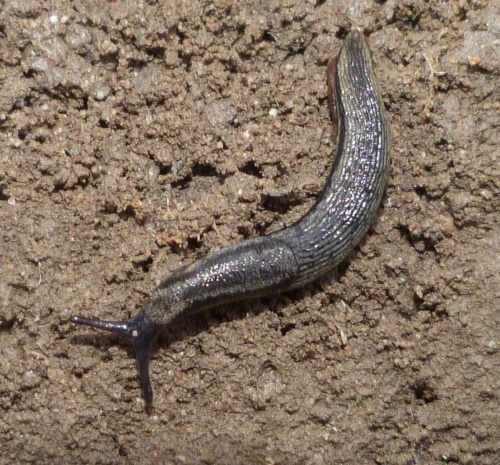 This slug often inhabits disturbed sites (e.g., gardens, roadsides). 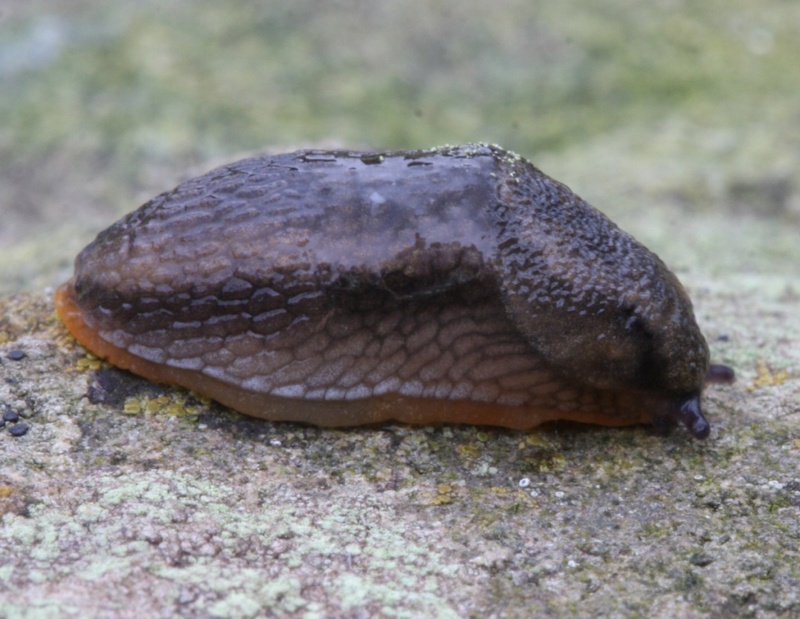 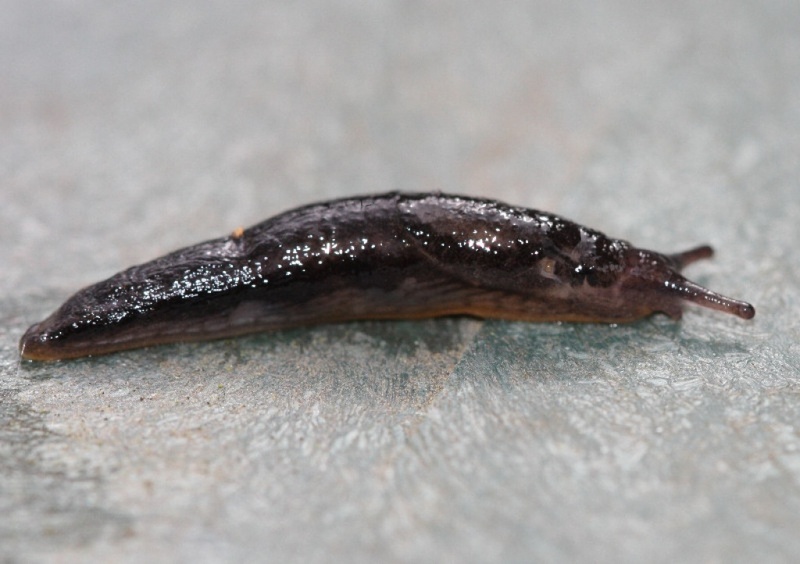 The common garden slug breeds throughout much of the year and can be a serious pest of gardens as they attack cultivated plants, fruit, tubers and bulbs. 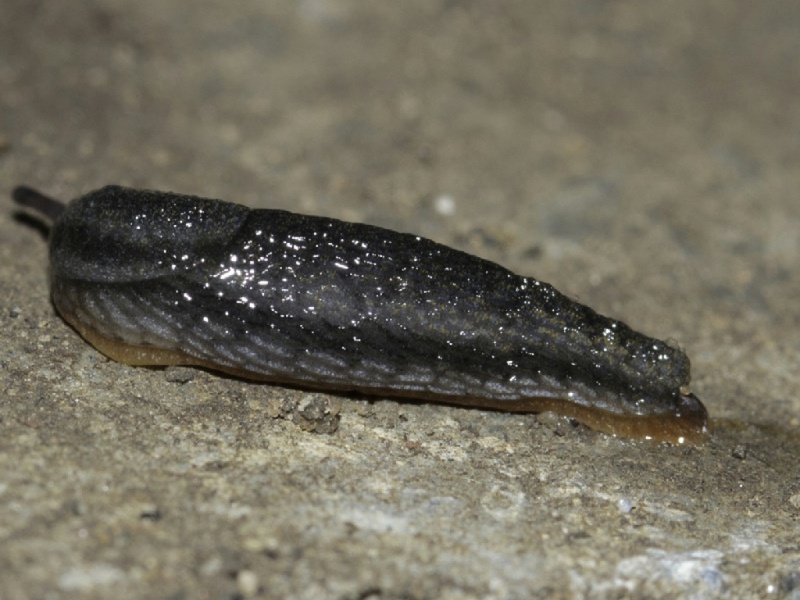 Slugs are hermaphrodites, meaning that individuals possess both male and female reproductive organs, but self-fertilisation does not occur. During courtship, members of a pair follow each other in circles, whilst feeding on their partner's mucus trail.